I just watched an advance screening today of this and it was pretty damn good. Amandla has a bright future a head of her. Hornsby was powerful as her dad. This opens wide this weekend. I will try and see it if I can. Amandla has a bright future a head of her. She was incredible in this. Amazing movie. Not without its flaws, but this is a movie that will challenge your beliefs. Just saw it yesterday (I think it just opened wide, but it's been at my multiplex for a few weeks) and thought it was awesome. Great cast and really thought-provoking. Just saw it, loved it. One of my favorites of the year, easy. Every actor worked for me, great performances. Lots of tension, you never quite know what's going to happen. Even for some scenes in the trailer, there's questions as to what will happen when or in what ways. The climax had me saying, "Oh, f---!" before I could help myself, it was so intense and came out of nowhere though thematically it was right in front of us the whole time which, really, was the point. Amandla Stenberg carries the whole movie. We'll be watching her the next 30 years, guaranteed. Last edited by story; 12-12-18 at 11:24 PM. I just rented this from Red Box and Wow!! What an amazing film. I was riveted the entire 2 plus hours. Great characters and they took on some difficult topics and handled it very well. Amandla Stenberg was freaking amazing in this. This young actress carried this movie. I think she has one hell of a future ahead. The supporting cast including Hornsby, Hall and Common were all terrific as well. Man, I wish I saw this on the big screen when it came out last October. It was just one of those films that got lost with all the other things going on in the Fall. Hence, that's why this thread has been dead. But, I'm glad I saw it today. A very important film for today's generation. An easy A from me and 5 stars. Now that it's on home video, I highly recommend everyone see this. The entire scenario the movie revolves around is basically "kid ignores police orders, pulls something out of the car (possible gun for all police know based on the actions of a kid who didn't stand still when asked), and gets shot because they thought what he picked up was a gun". Then the main character goes on about how police were wrong and just wanting to kill black people for no reason and the whole world is against her speaking out about it. Honestly speaking, the police acted correctly. In an event like that, police are trained to shoot. Why? Because they aren't mind readers. If it had been a gun, the story would've went "police hesitated and got shot". It's very simple. If a police tells you not to move, don't move. It's got nothing to do with skin color. So for me the whole movie premise didn't work. 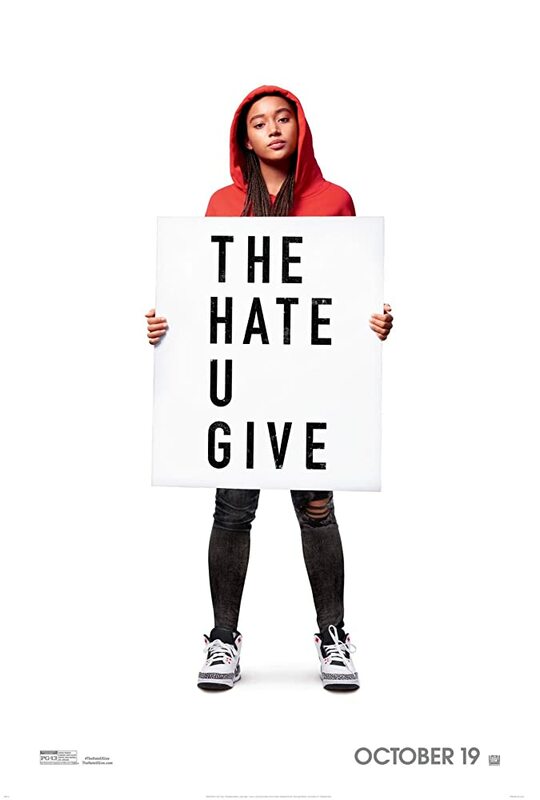 I thought Amandla Stenberg had a great performance though and definitely as DJariya put it "carried the movie", and the event definitely pulled on the heart strings and made me tear up over what went down, and overall I enjoyed the movie and would probably re-watch at some point, but the situation is exactly what bothers people in the media today where they try to play it out like the police are the villains for doing their job (yes there are plenty of power-hungry bad cops too, don't misunderstand me pls). Let's put it this way, hindsight is 20:20. It's easy to judge after the fact, and yes it's sad someone lost their life; but it's not the cops fault for firing in such a situation. Regardless of skin color, the kid should have not reached into the car and pulled something out. Russell Hornsby was great as always. Good to see him again after the end of Grimm on NBC. Unfortunately me saying anything in this regard is likely to bring on a lot of unwanted drama... so I really questioned if I should have just deleted the post rather than hit submit. I get your viewpoint and I don't think you should delete it or question it. It's a fair opinion. If you guys liked this, a good companion piece is Monsters and Men with John David Washington. It came out last year too. It’s the less studio version of a similar scenario. Thanks for the recommendation. I'll have to see about watching it. Agreed, that's a big part of what makes the whole situation so infuriating. Khalil pulled some stupid, stupid moves. The officer reacted really quickly on assumption. Lots of bad choices in that instant. No easy, obvious answers.